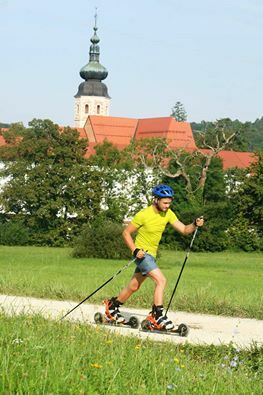 You can rent the SKIKE gear, explore the town and its surroundings alone or with a tour guide, who can also teach you the basics of this sport, and visit Kostanjevica on Nordic skates. SKIKE is one of the healthiest types of sport, where all your body has to work, it’s also good for your heart and the vascular system and it’s not hard on your joints. It’s very popular in Nordic countries.